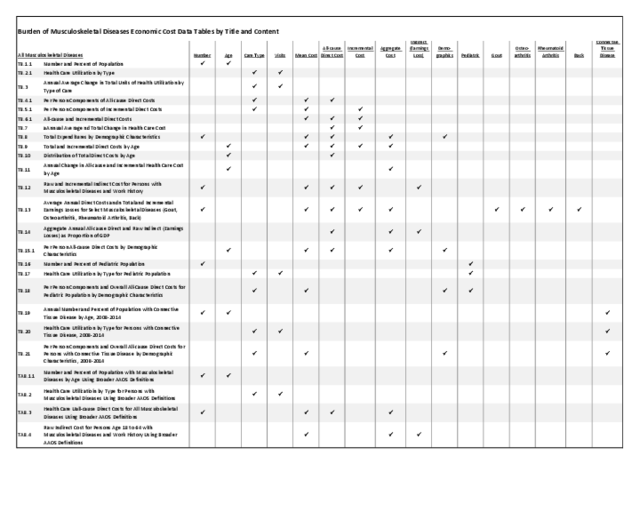 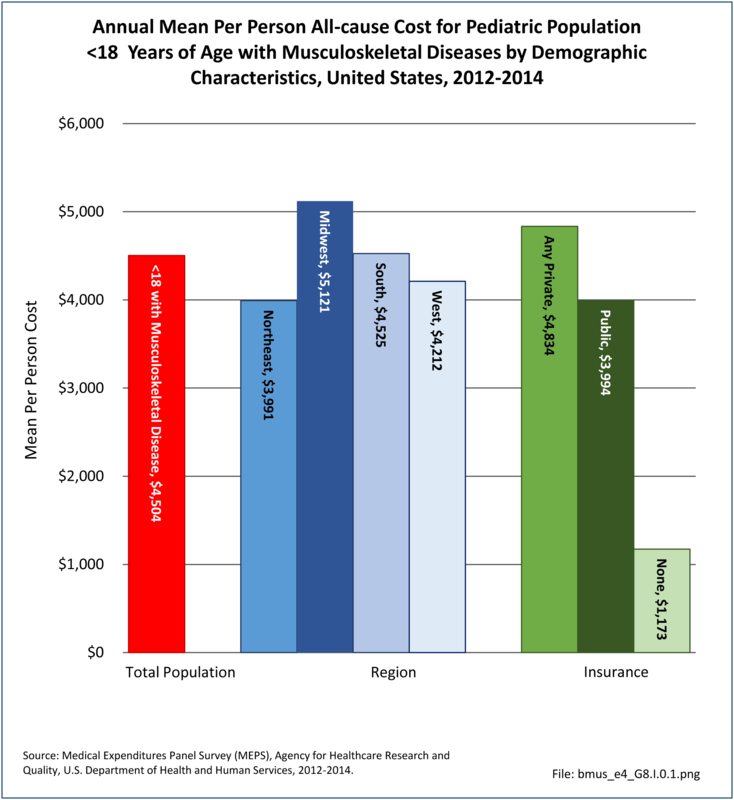 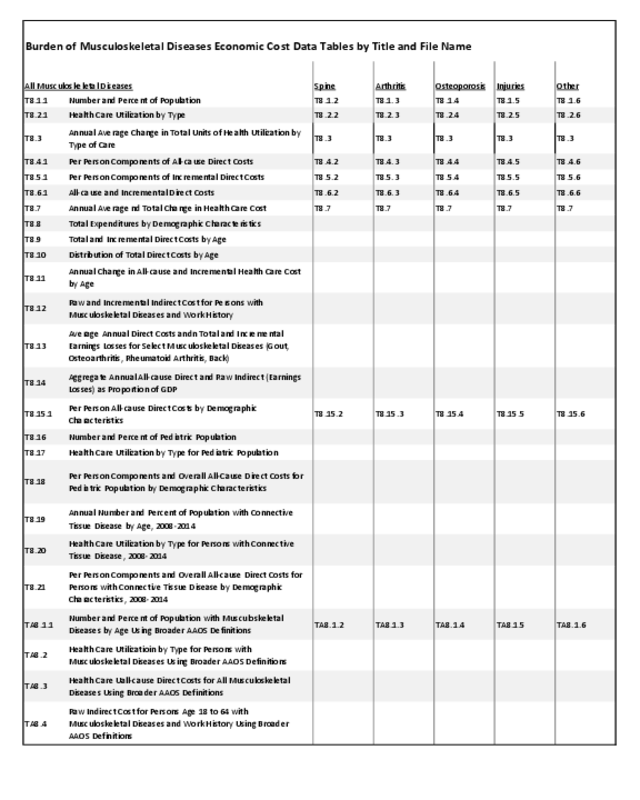 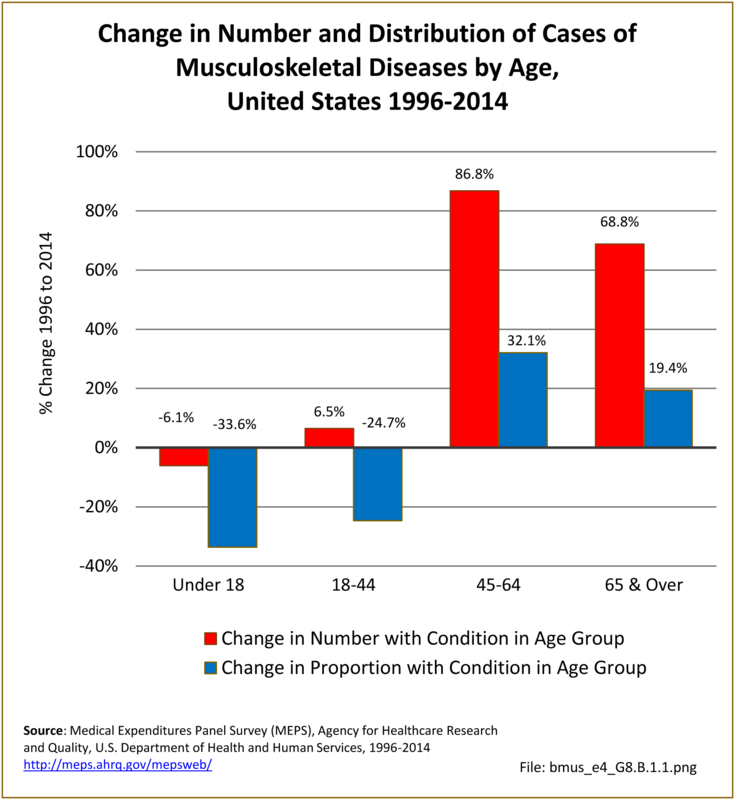 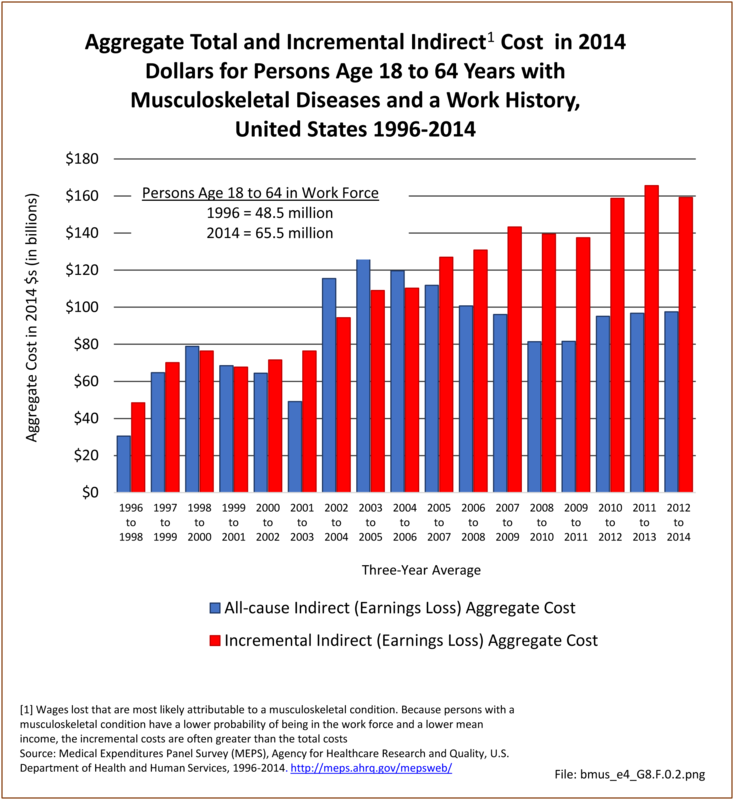 The total economic impact of musculoskeletal diseases includes two factors: the cost to treat these diseases, or direct costs, and lost wages incurred, or indirect costs, that are attributed to the conditions. 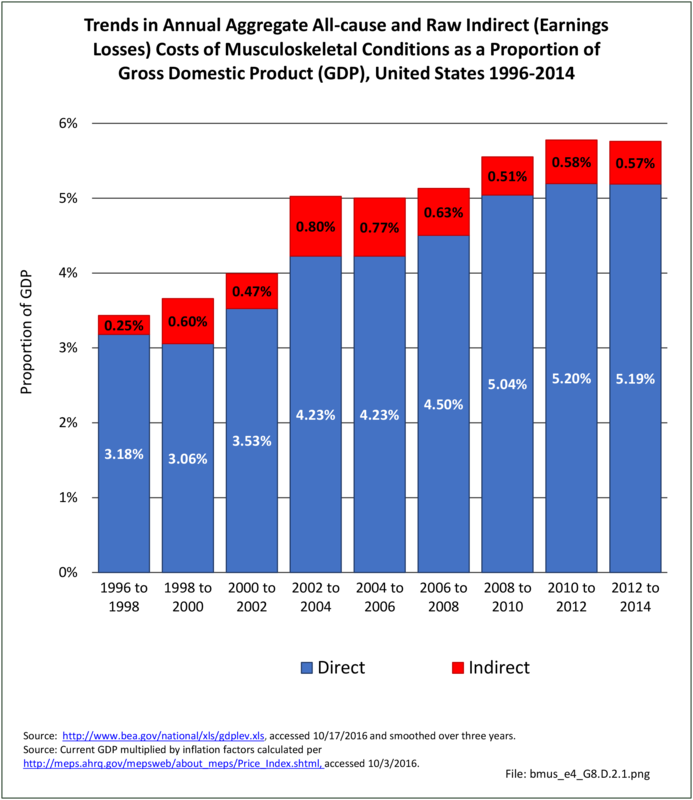 Between the years 1996-1998 and 2012-2014, the GDP1, in constant 2014 dollars, has risen from $12.0 trillion to $17.0 trillion, an increase of 42%. 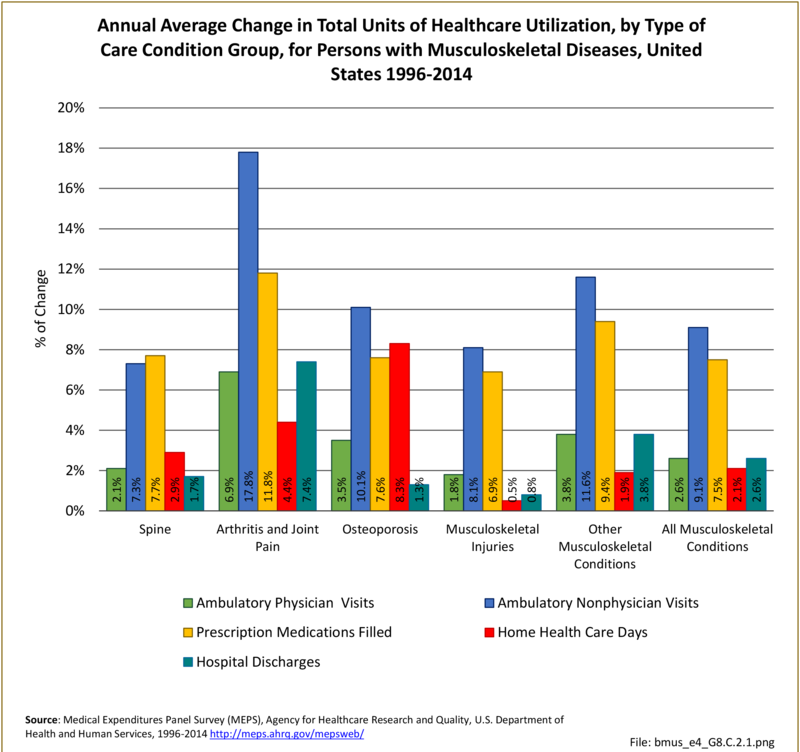 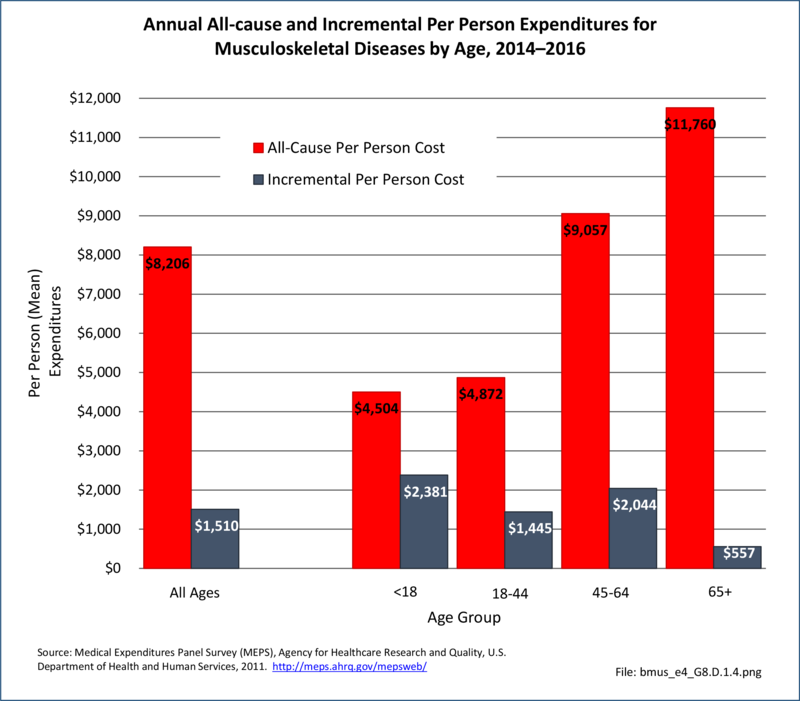 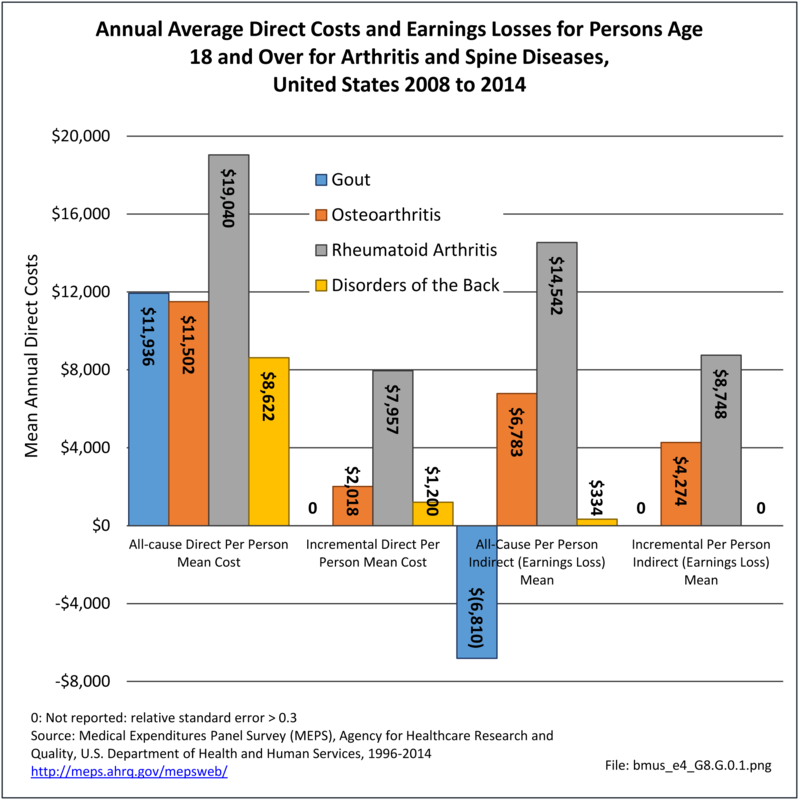 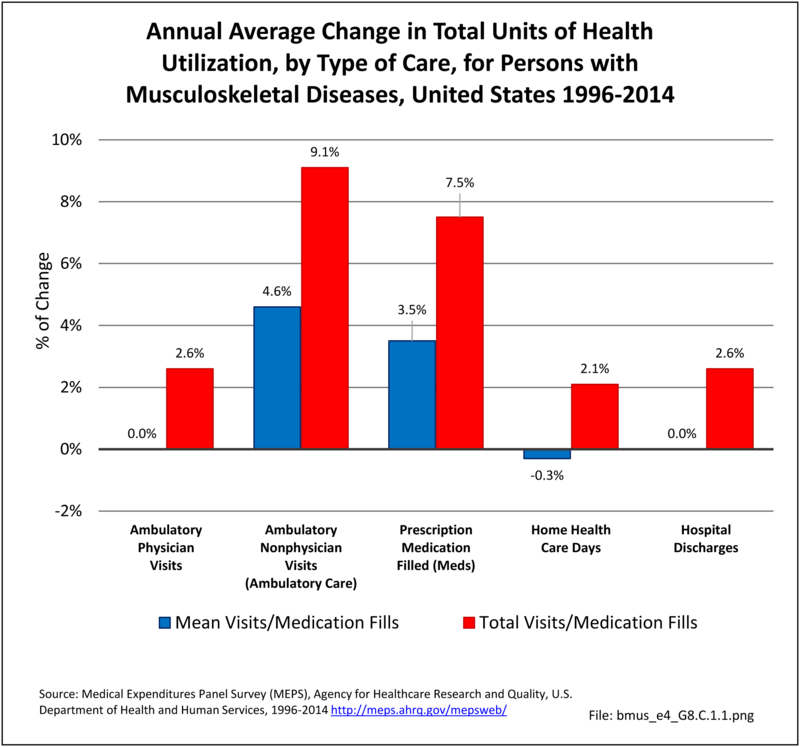 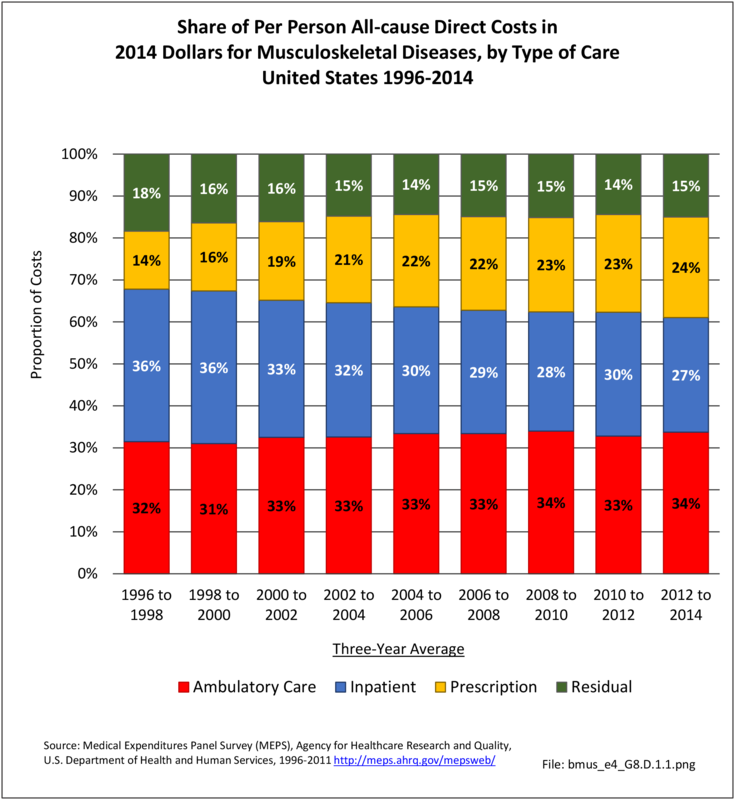 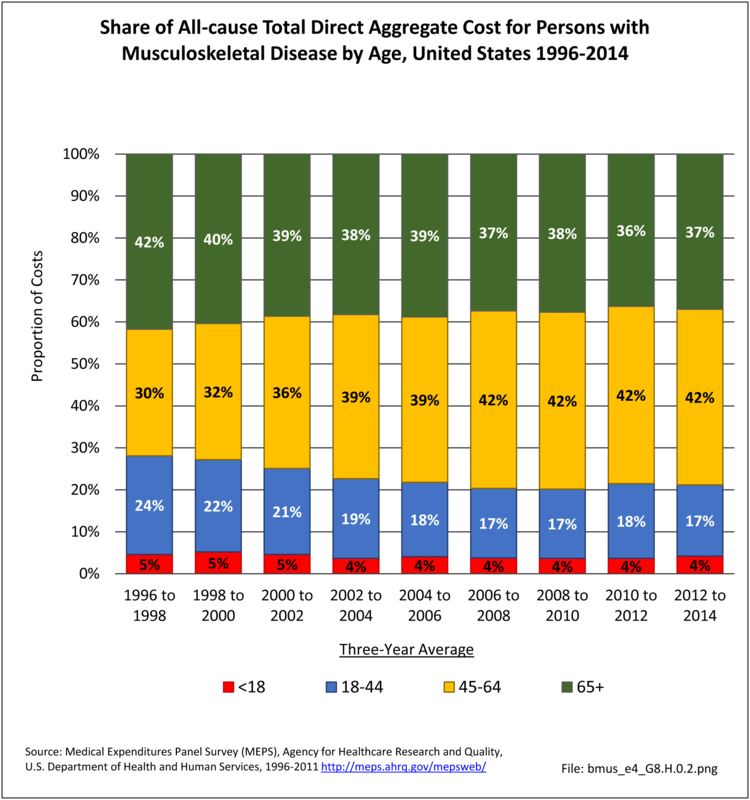 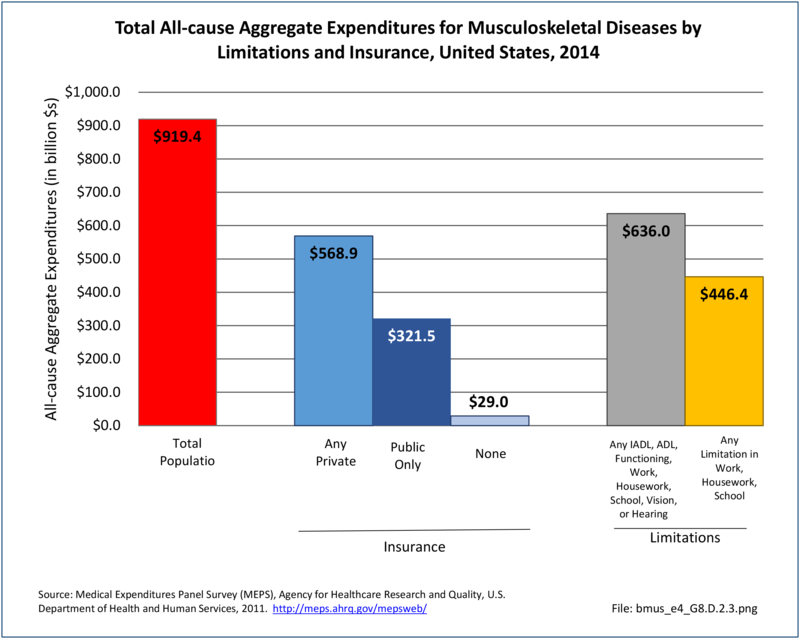 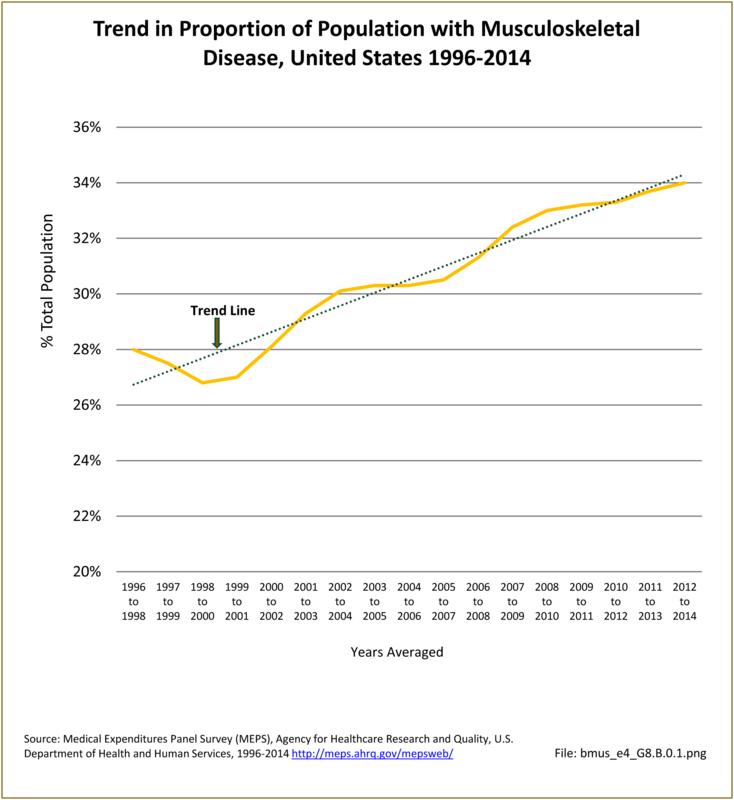 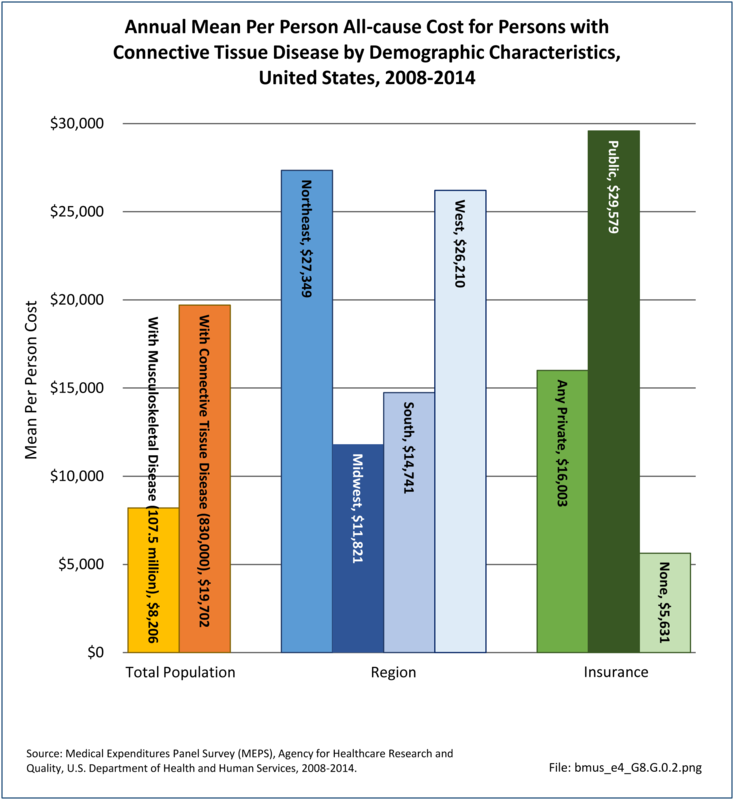 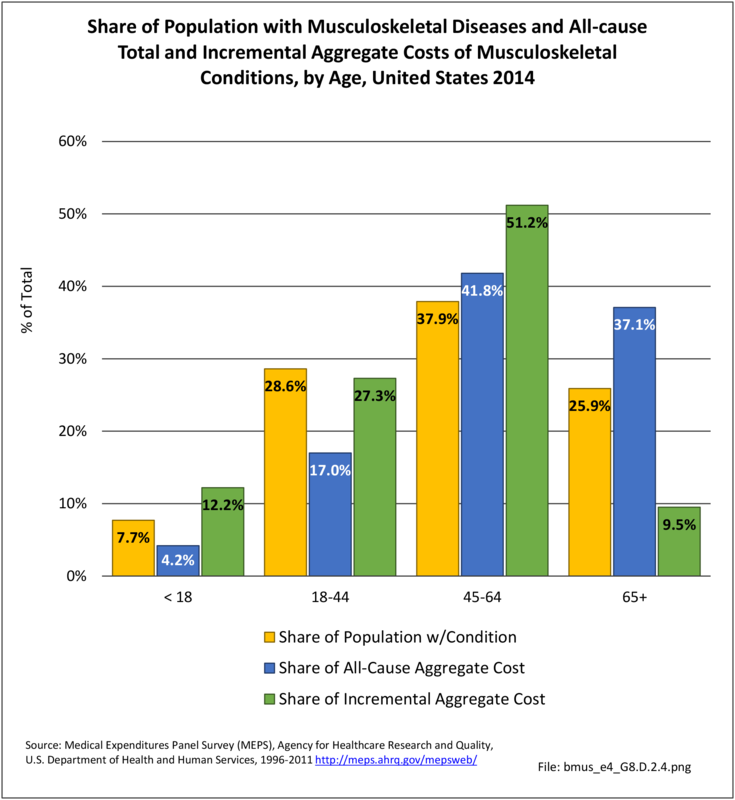 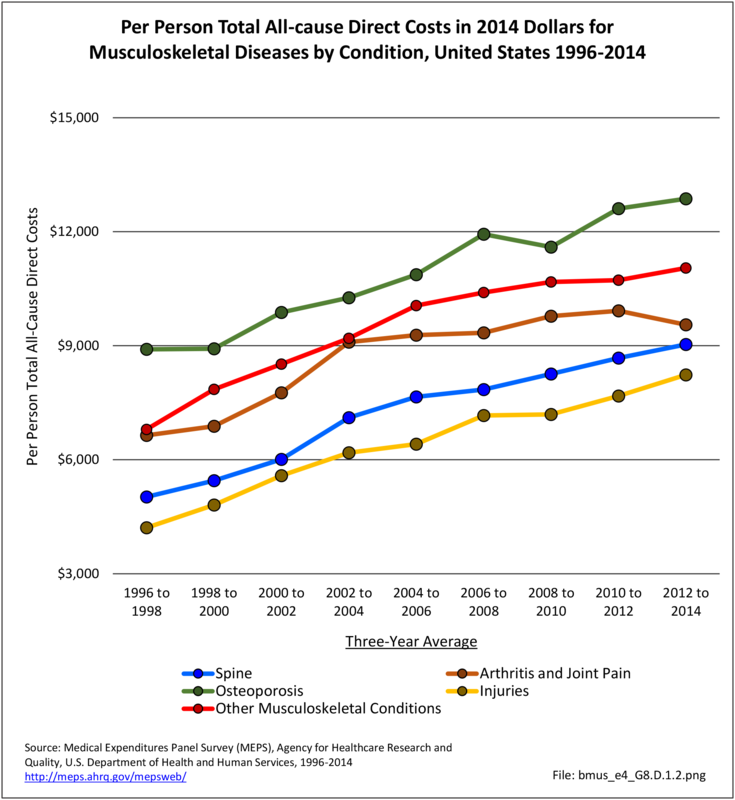 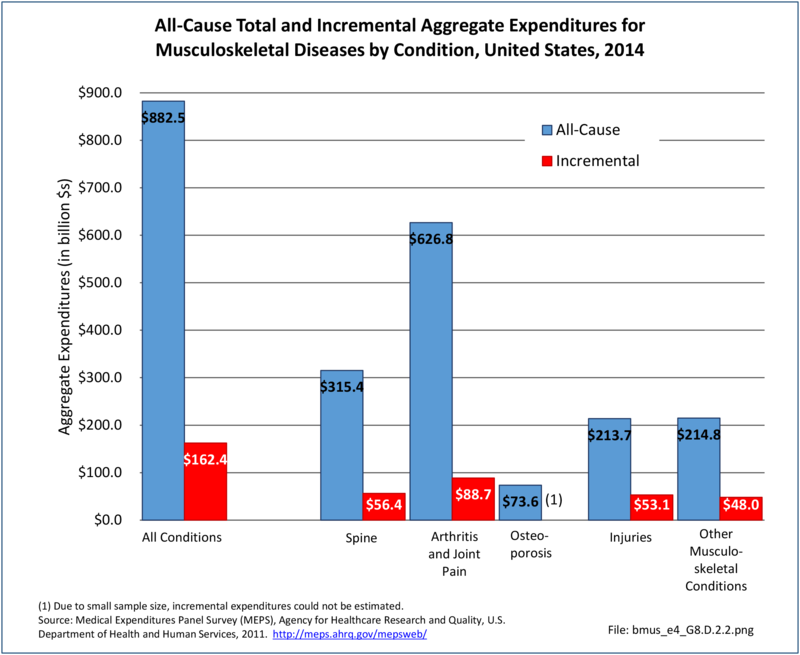 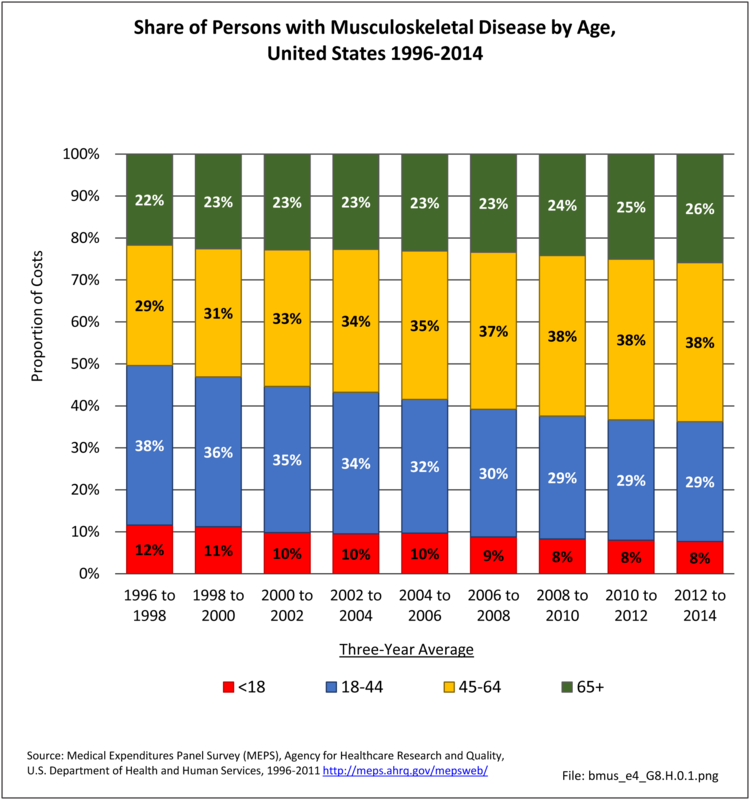 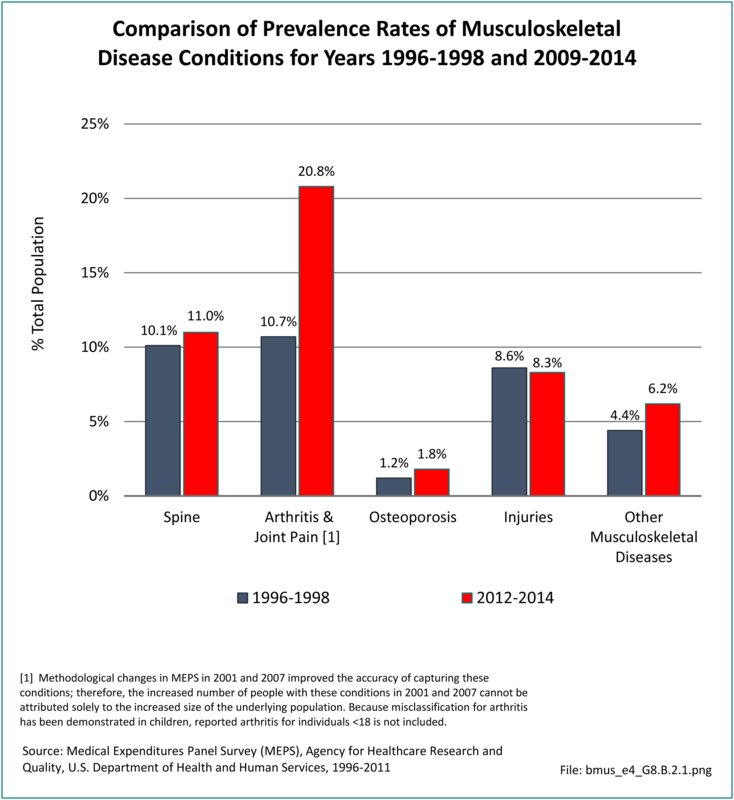 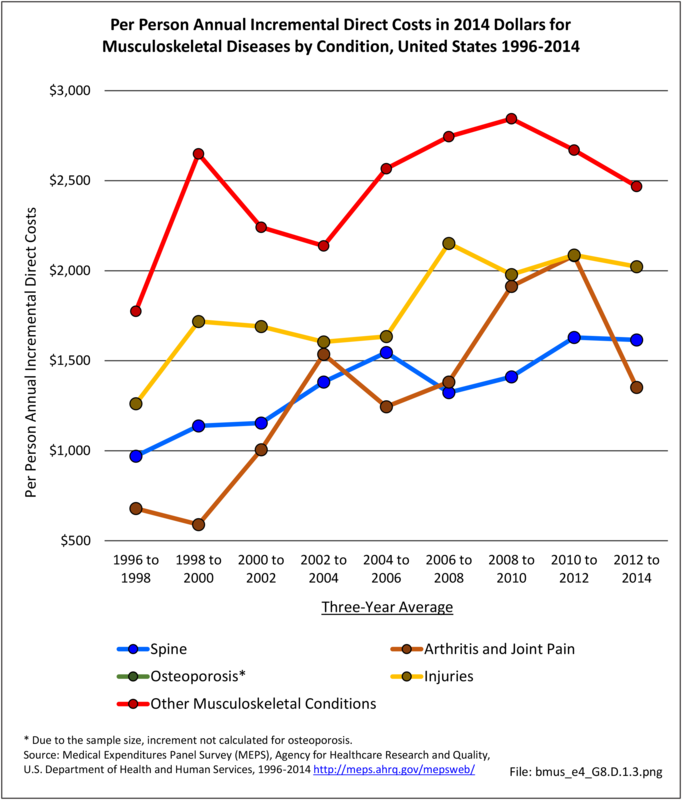 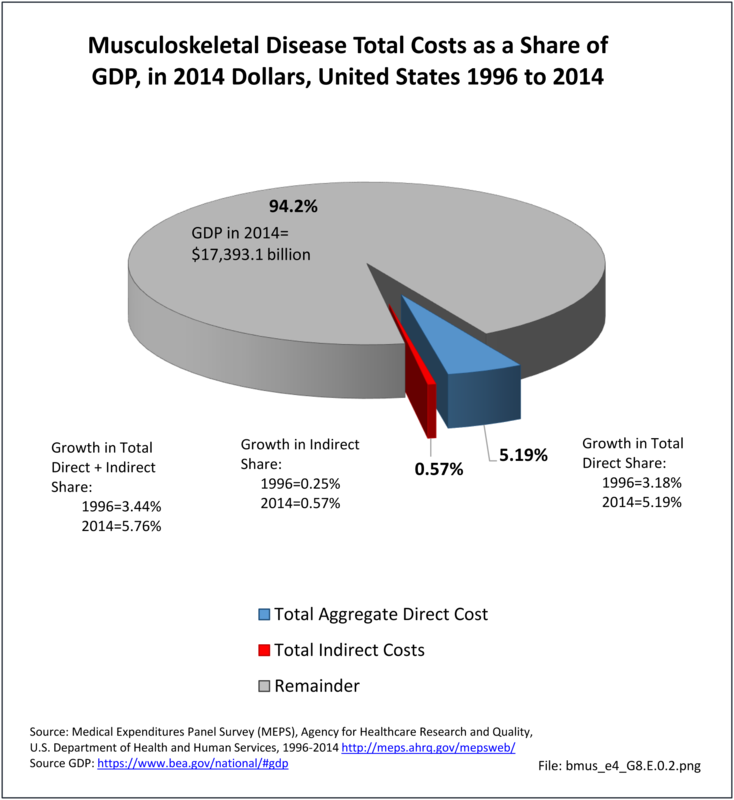 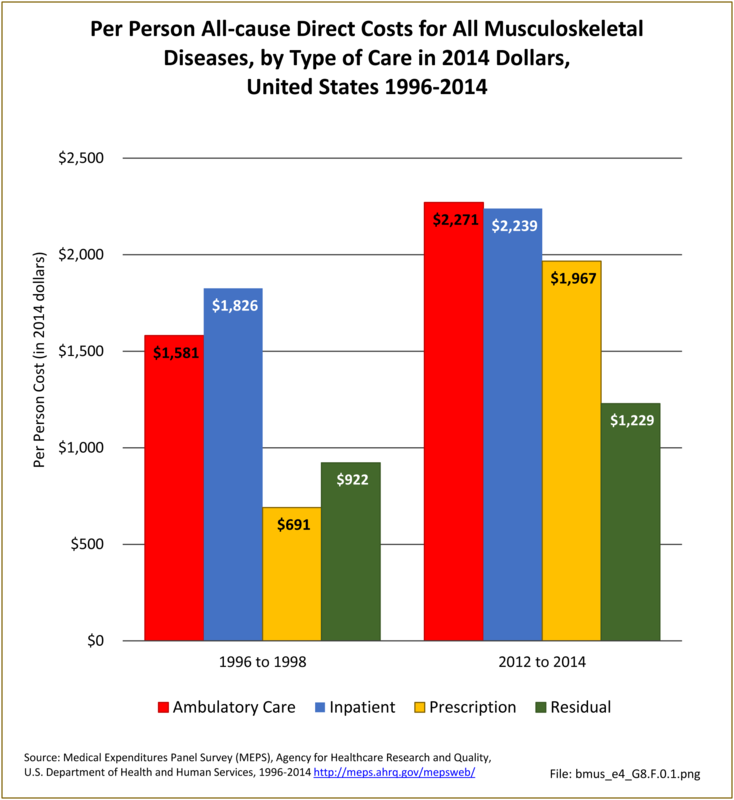 Over the same two time frames, total direct and indirect costs of musculoskeletal conditions rose from $411.9 billion to $980.1 billion. 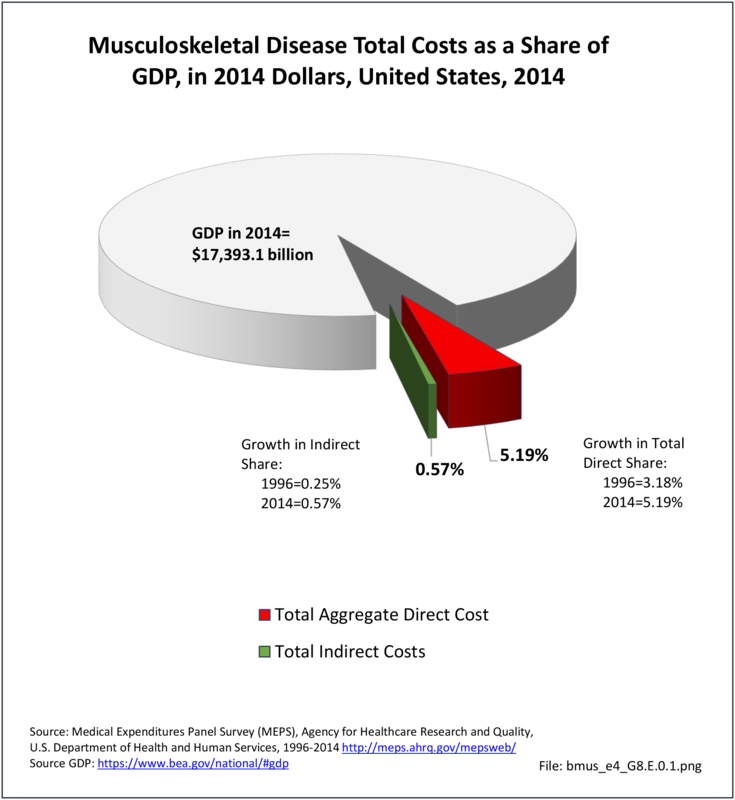 This is an increase of 138%, or more than three times the rate of increase as the GDP.